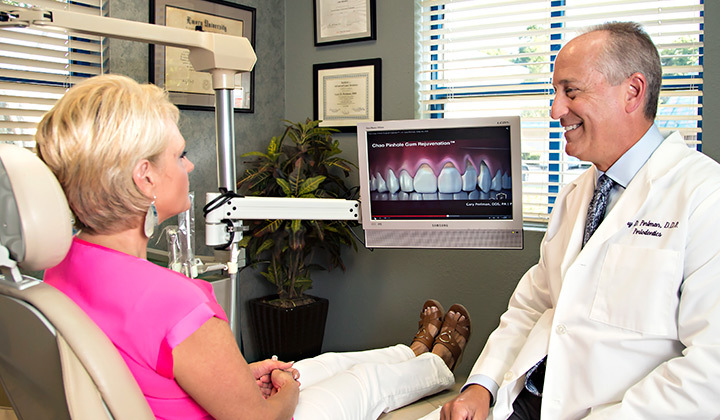 We educate our patients about the dangers of gum disease and how to treat it. Gum disease can be a particularly insidious disease, as the infection involved in periodontal disease not only damages teeth and gums, but also may have an effect on other body systems. Gum disease has been linked to other conditions like diabetes, heart attacks and strokes. Dr. Perlman’s goal is to prevent and eliminate your gum disease, using minimally invasive techniques for maximum results. That means he does everything he can to treat gum disease without having to resort to periodontal surgery. As a periodontist with almost 30 years of experience, Dr. Perlman is an extremely knowledgeable and highly skilled specialist in the treatment of gum disease. 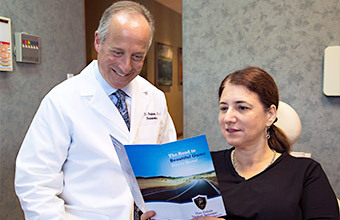 He is dedicated to helping his patients preserve their natural teeth, enhance their smile, and avoid the potentially life-threatening systemic effects of untreated periodontal disease. To make an appointment, call 904-900-2552 or click here to request an appointment online. Dr. Perlman will assess the health of your gums by doing a complete probing of your gums using a thin, gentle probe to measure the depth of the gum pockets. Pockets occur when gum disease spreads below the gum line, causing the gums to detach from the root surface and form pockets in which bacteria can multiply and cause further detachment. Pockets 3 mm and deeper with the presence of plaque and calculus indicate the beginning of gum disease. A pocket of 7 mm to 10 mm indicates an advanced stage of periodontitis (severe gum disease). 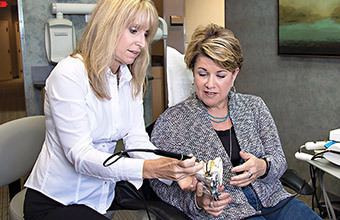 We use ultrasonic scalers to provide more thorough cleanings. Our first line of attack on gum disease is a deep cleaning – which involves scaling and root planing. We use ultrasonic scalers and air polishing systems as well as traditional hand instruments to combat and control gum disease. Your home oral care is vital for the success of any treatment. Our hygienists will provide you with an extensive education on how to best keep your gums free of disease. They will show you which toothbrush and floss are most effective, and least damaging. They will review the food and drink you need to avoid to help you combat gum disease. 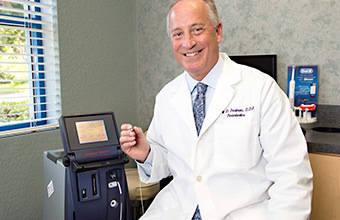 Dr. Perlman uses a dental laser to provide non-surgical gum treatment. For severe gum disease, Dr. Perlman uses a minimally invasive alternative to conventional “flap” periodontal surgery, LANAP, Laser-Assisted New Attachment Procedure. Unlike conventional periodontal surgery, this is a minimally invasive procedure, which means little to no post-surgical discomfort. Conventional periodontal surgery can take up to two weeks for recovery; there’s a less than 24-hour recovery period with LANAP. The aim of any gum disease treatment is to eliminate the bacteria and the pockets caused by the bacteria attacking below the gum line. These pockets are created when the gum detaches from the root surface. LANAP’s gentle and highly focused lasers destroy the bacteria, remove the infected tissue and stimulate the body’s natural regenerative potential. The body responds by generating a new coating on the root surface and new connective tissue (periodontal ligaments), allowing the gums to reattach to the root surface, thereby closing the pocket. Learn more about the LANAP procedure. Occasionally a patient will not respond to standard treatment procedures. This could be indicative of a particularly resistant bacteria strain. Dr. Perlman will take his diagnosis a step further by doing a DNA saliva test to determine which type of bacteria is prevalent. By identifying which type of bacteria is causing the problems, we can create a treatment path to best attack it, including prescribing bacteria-specific antibiotics. The use of bacteria-specific antibiotics, in conjunction with deep cleaning and good home care, can effectively eliminate the formation of extensive plaque. In some severe but rare cases, conventional periodontal surgery is necessary. This is generally known as “flap” surgery. During this procedure, Dr. Perlman will lift back the gums, remove the tartar and smooth out the irregular surfaces of the bone to limit areas where bacteria can attach. The gums are then reattached to the tooth, eliminating any pockets where the bacteria can multiply. Severe gum disease can cause gums to recede or to thin. Dr. Perlman can perform soft-tissue grafts to replace gum tissue loss to gum disease. Learn More about Gum Grafting here. Severe periodontal disease can eat away at the jawbone. Dr. Perlman can perform bone grafting procedures to augment the bone in your jaw and stimulate new bone growth. See our Bone Grafting page for more information. 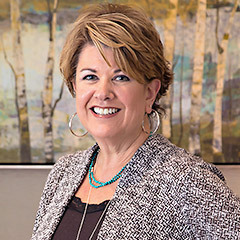 “I needed periodontal work, but I was in gum denial for a long time. When I finally came in to see Dr. Perlman, he gave me the confidence to go forward with the treatment. That was a long time ago. Now I have great teeth and healthier gums, and I plan to keep them that way.